Just thinking of all the details that must be addressed when someone passes away can be quite overwhelming. It may seem as though every little aspect requires negotiating with yet another vendor in a virtually endless cycle of planning. Dignity funeral services can simplify this process by handling each of these matters from a central location. In North America, there are over 1800 providers and cemeteries in this network. They are located throughout forty-three states, Puerto Rico and in eight provinces of Canada. Working all together, these locations are capable of delivering the affordability and convenience of large international chains and still maintain the personalization offered by smaller facilities. Because everything is handled within the one vendor, preparations can be made more smoothly. The counselor assigned to the event will assist the ones making arrangements with all details of the services from officiant to flowers. 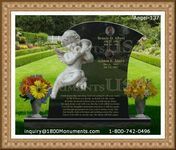 They will also be able to advise on all interment needs such as cremation processes, caskets and burial plots.